Do you know what's your pronation type? | JustRunLah! Do you know what’s your pronation type? Pronation is the inward roll of the foot while walking or running. It is part of the natural movement that helps the lower leg to deal with shock. An ideal foot-strike is the neutral pronation, which is a slight inward movement of the ankle-bone during stance (when the foot is in contact with the ground). 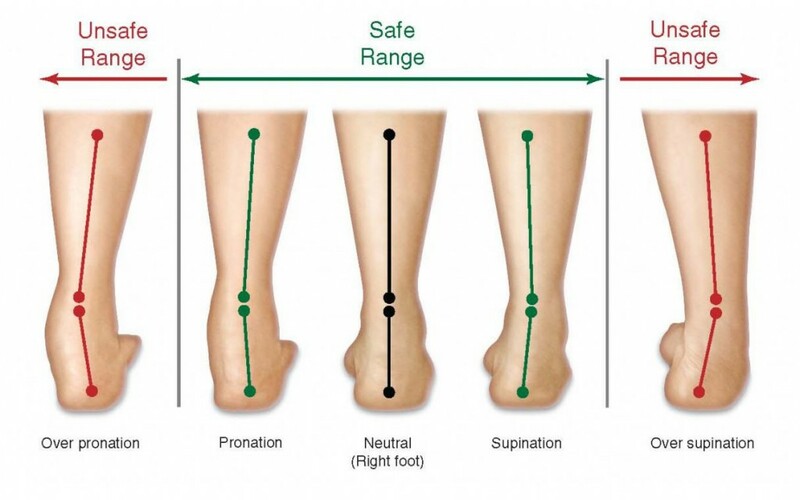 However, some people pronate more or less than others and as long as the degree of pronation remains within certain limits, it can be considered normal. 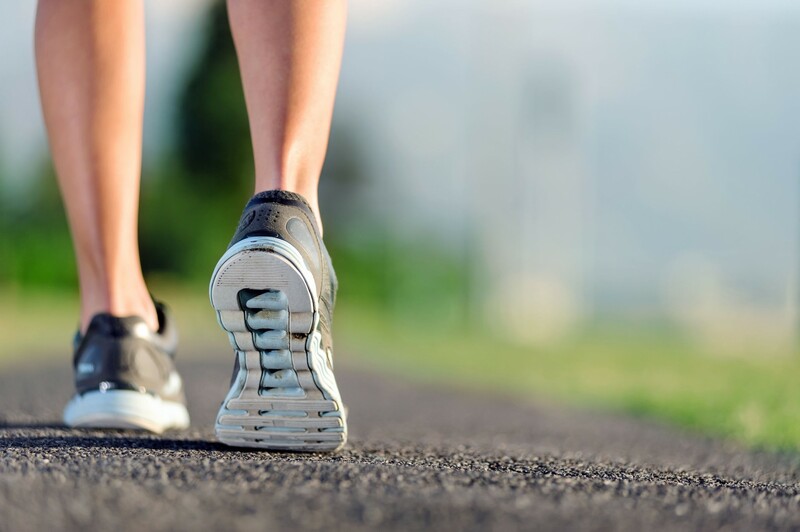 Neutral pronation occurs when the foot experiences a normal, healthy amount of pronation. In a healthy movement, more of the toe area will be used when pushing off than in unhealthy movement. For neutral pronation, the weight distributes fairly evenly among all of the toes with a slight emphasis on the big toe and second toe which are better adapted to handle more of the load. Overpronation is considered as the gait which one tends to push off almost completely from the big toe and second toe. As a result, the shock from the foot’s impact will not spread evenly throughout the foot and the ankle has trouble stabilizing the rest of the body. An unnatural angle forms between the foot and ankle, causing the foot to splay out abnormally. Underpronation (or supination) occurs when the foot impacts the ground and there is insufficient “inward roll” in the foot’s motion. The weight of the body cannot all be transferred to the big toe, forcing the outside of the foot and the smaller toes, which cannot handle the stress as well, to take the majority of the weight instead. 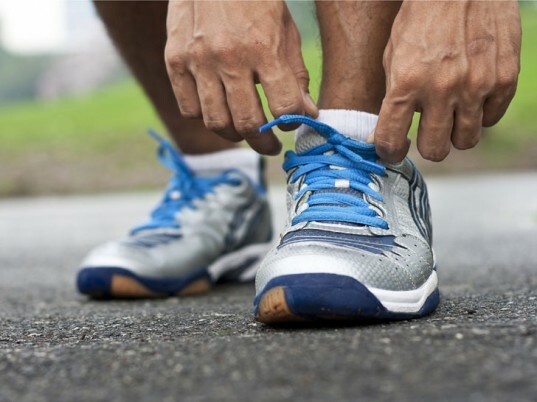 Your pronation type strongly affects the way your shoes wear out. So before you throw your last sneakers out, have a look at their soles. If the soles of your shoes show wear in an S-shaped pattern, from the outer (lateral) heel to the big toe you are likely to be a neutral pronator. The shoes of an overpronator will show extra wear on the inside of the heel and under the ball of the foot, especially the big toe, while those of an underpronator will wear mostly near the outer parts. Moreover, there is a simple test to help you find out your gait type, namely, the Wet Feet Test. The wet footstep you leave on the floor is a good indicator on how your foot absorbs the shock of the impact with the floor. So the next time you step out of the shower, take notice of how your footsteps look and compare them with those for each gait type, found at most-right column of the table below. Neutral pronators have the widest variety of shoes to choose from. Overpronators should look for maximum support or structured cushioning shoe, while underpronators need lots of cushioning to avoid impact injuries. Running shoes are designed today specifically for different pronation patterns and most running shoes manufacturers have implemented a model selection guide on their websites. When you pick your next pair of running shoes, always remember to find out and use your pronation type to choose the perfect pair!